Today, Saturn in 6th house. So for a change, you are going to hear something nice about Saturn. House-wise, this is best position of Saturn. As Saturn suppresses the things related to the house in which it sits or aspects, here in 6th house of obstacles, enemies it suppresses the enemies, means makes you win over your enemies. 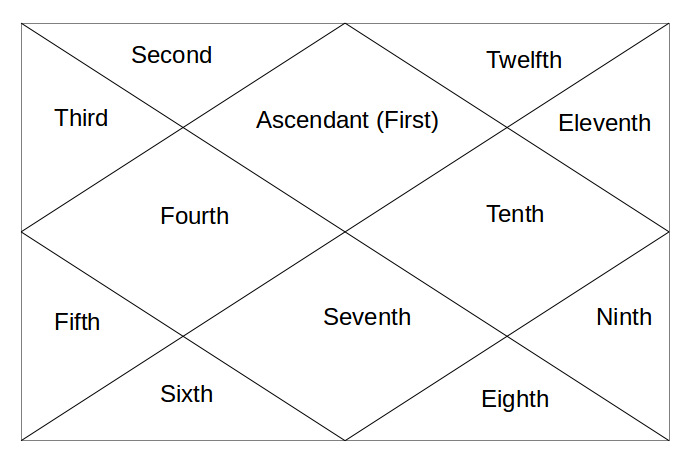 It aspects the 8th house of Sudden Events and Death and suppresses any possibility of major accidents and early death. Then it aspects the 12th house of losses and expenses and reduces it. Last aspect goes to 3rd house of communication skills and makes a person very careful about what he is speaking. But as Saturn is still a malefic planet and it will have other impacts too, so lets see how it is going to behave in 6th house overall. 6th house is also a house of routine daily life or office life and Saturn represents delays and long duration, so these people have to work for extra hours if they want to achieve anything in their work life. Their promotions and other job related benefits will be delayed till mid 30s. As 6th house is house of disputes and Saturn represents Law & Order, this position shows a career in Law. Likewise, 6th house is illnesses and diseases, so someone can also become a healer. It also shows someone who is in the work of dispute resolution at his workplace. From 6th house, Saturn's aspect goes to 8th house of joint assets with spouse, hidden science and secrecy etc. It shows stress in marriage benefits or with in-laws. Here, it also shows someone who is a mystic and interested in occult. Saturn's next aspect goes to 12th house of isolated places and spirituality. Saturn makes them focus on spirituality and may also send them to an isolated place or foreign lands for the purpose of their daily routine life. Saturn last aspect goes to 3rd house of younger siblings and efforts/courage. Here, relation with younger sibling may be restrained or limited. Communications will be very purposeful and Saturn here will give results of their efforts in their 30s. Hope this helps. Tomorrow, Saturn in 7th house.